Terrorist and criminals have escalated their levels of violence throughout the world. They deem no act too severe, or target too soft to achieve their objectives. Therefore, safety and security countermeasures need to operate with zero risk tolerances to deny terrorists and criminals the ability to project their “new normal”. Here are some requirements to protect against the “new normal” paradigm. Must Work 24/7 – 365 Days a Year Safety & security countermeasures must operative and be effective nonstop. Terrorist and criminals are ambush attackers and seek the most vulnerable opportunities. They plan in advance and await their opportunity. Operate on a “Pass/Fail” Basis with 100% Objectivity – Terrorist and criminals try to “blend in” to avoid detection, until they begin their attack. They will avoid human eye detection and reaction until they decide to act, leaving security personnel a step behind. Their best ability to blend in will be negated by countermeasures operating objectively. Zero Limit Reaction Time to Contain Threats – It takes the average person .75 seconds to react to a threat, and even longer if they’re tired or distracted. Today’s effective security countermeasures require zero reaction time to contain a threat from projecting control or lethality. 100% Performance Standards Tested & Guaranteed – Performance standards need to be designed and tested so to operate as required, taking into account hundreds of pre-determined scenarios. Performance standards also must be upgradable to counter ever evolving “new normal” threats. Detect Hidden Weapons – Even to the trained eye it’s easy to conceal a weapon. Automated weapons detection technologies isolate and deny criminals and terrorists the element of surprise, against their intended targets. Take a Bullet Without Flinching – Ballistic rated countermeasures must continue to perform and protect personnel. Properly designed ballistic rated systems will thwart the average threat while keeping safe patrons and bystanders. 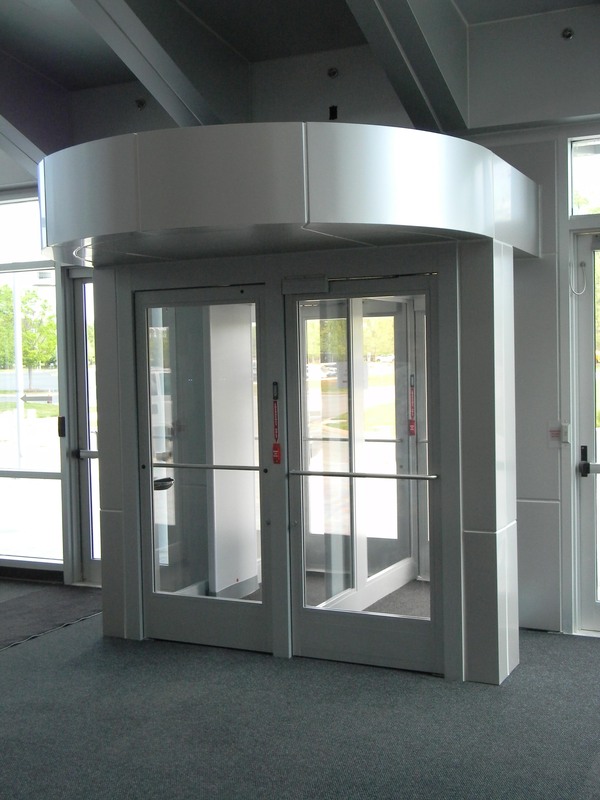 This entry was posted in Access Control, ANSI & ADAAG Products, Banks & Credit Unions, Courthouse Security, Federal Security, Local Community Protection, Local Government Security, Military Security, Nuclear Facility Security, Safety Act, Safety Entrance, Uncategorized and tagged Access Control Vestibules, Anti-terrorism Technologies, Bullet Resistant Entrances, Department of Defense, Interlocking Doors, Qualified Anti-terrorism Technologies, Security Vestibules, Weapons Control Portals. Bookmark the permalink.